Last weekend, in only an hour or so, I built myself a dead-simple softwood stand for my newly-acquired Axminster CT150 6in Planer/Jointer. There’s not much to its construction or design but, it serves its purpose well. 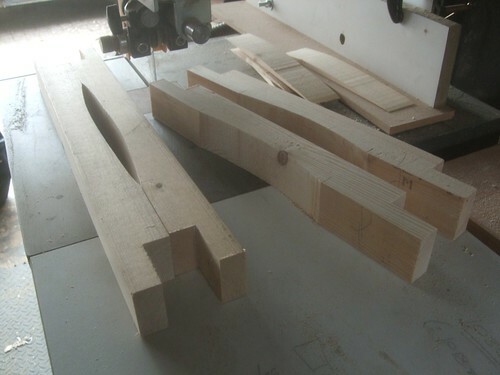 It’s made from scraps of 44mm square softwood that I happened to have although, as there was some variation in the thickness between lengths, my first step was to run two adjacent sides of each through my thicknesser. 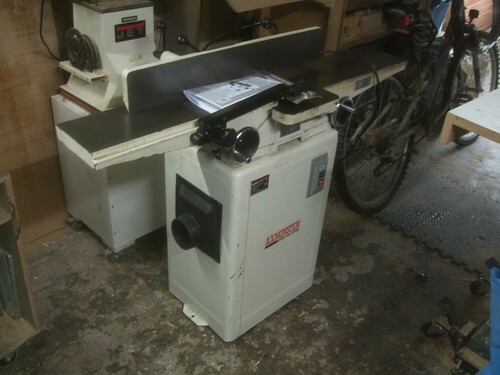 It’s designed to support the perimeter of the steel base of the planer, with approximately half the thickness of each length either side of the steel. 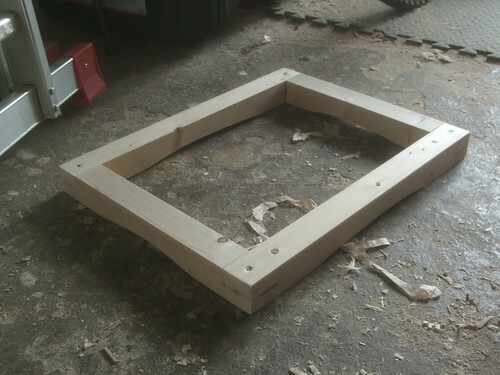 To join the four corners of the frame, I used half-lap joints. Shoulders were cut on the sliding mitre saw, using a depth stop and, I then ripped the cheeks and tenons to thickness on the bandsaw. While still at the bandsaw, I decided to make a simple ‘relief cut’ on the underside of each length so that, ideally, there will always be four main point of contact with the ground, even on a lumpy old concrete floor that dips and dives all over the ‘shop (literally!). There’s no need to sand these sawn edges as they’ll never be seen. 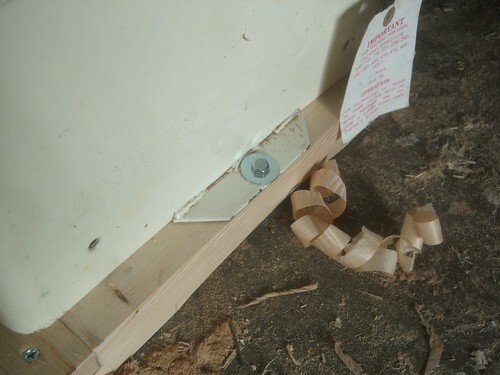 One screw in each corner (with the application of Titebond III) was enough to hold each joint together and, with that, the frame was complete. So far, this new base provides me with everything I’ve been looking for. It increases the footprint of the machine enough so that it is now more stable and less likely to ‘rock’ across its narrow width. It seats firmly on my floor, as intended. It even goes some way to reducing much of the ‘noise’ and vibration that I was experiencing when I first switched it on. I’m sure I could do more to reduce this further, as the thin-steel base cabinet doesn’t help but, I’m with the improvement for now. Adding castors would make it more mobile but then, it could increase the working height and, I’m hoping that, once I reorganised things again, I’ll be able to leave this machine in one convenient place without needing to move it again. I did consider lining the underside of the base with a non-slip material but, it seems unnecessary, with a gross weight of 75kg. My next improvement to this machine will be to set the knives properly… After dismantling, stripping and cleaning as much as I could the other week, I attempted to set them back in using a straight edge, which results in them all being equal but, also very slightly higher than where they should ideally be (yes, snipe is currently a problem). I could just raise the outfeed table to compensate for this but, it seems to be perfectly parallel to the infeed and cutter block as it is. So, why mess with that?! Instead, I’m looking for some kind of magnetic setting jig and I may even attempt to make my own… Watch this space!